“I just realized I was called to something greater,” said Brother Zachary Burns, TOR, as he described his initial call to consecrated life. New to Franciscan University of Steubenville’s campus this semester, Burns is eager and excited for the many roles he has taken on this academic year. Growing up in Milford, Pennsylvania, Burns started running competitively in seventh grade and has continued to be an avid runner over the last 16 years. Burns eventually went on to run NCAA Division I cross-country and track at St. Francis University in Loretto, Pennsylvania. St. Francis University happens to be a sister school to Franciscan University of Steubenville, where the Franciscan Friars of the Third Order Regular also serve. “I had never heard of the school until the coach called my high school,” said Burns. The friar highlighted athletics as being a key factor in his college decision. Burns went on to study elementary and special education in college. The future religious was impressed and struck by the presence of the friars on campus, particularly the priest who was the chaplain for the cross-country team. Burns said this specific friar was very present and involved with the athletes. After college, Burns went on to become an elementary school teacher for a few years. Remembering the presence of Franciscan TOR friars at St. Francis University during his time in college, Burns decided to visit the community for a “come and see” weekend. After spending some time with the community, Burns decided to leave his teaching job and enter the Franciscan community. 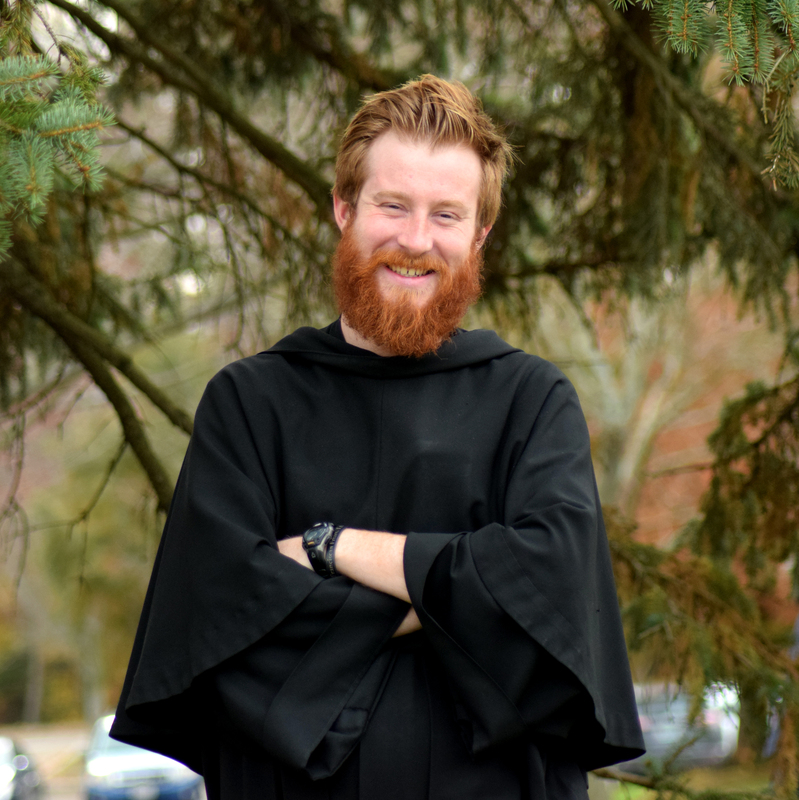 For the last few years, Burns has been in seminary, taking classes at the Catholic University of America in Washington, D.C. Now serving at Franciscan University of Steubenville’s campus for the 2018-2019 academic year, the friar serves a variety of roles. Still an active runner, Burns serves as a chaplain for both the track and cross-country teams and can often be seeing striding around campus and running alongside both the men’s and women’s teams. Along with being a team leader for music ministry on campus, Burns is also the pastoral associate for Works of Mercy, which serves in a variety of ministries and apostolates throughout the university’s surrounding area, ranging from the Unity Kitchen to youth ministry outreach to the Dead Theologians Society. Burns brings a new approach to his ministry. He hopes to incorporate his experience as an athlete into his leadership position with Works of Mercy. In his spare time, Burns enjoys writing and loves to create short stories. The friar is also an avid New York Yankees fan, and he has a personal goal to ride every roller coaster in North America. Burns said that his favorite aspect of being part of the Franciscan University community is definitely the students. 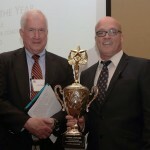 “I’m continuously excited to see students break the typical ‘Franny’ mold. I’ve really found all the students I’ve met to be very authentic, friendly and spiritually mature,” he said. Whether cheering on the Barons at a cross-country meet, ministering with students in nursing homes or even just interacting with students as they walk past his office, one can always find Burns eager to fully and selflessly give of himself to others and his vocation.